Russia is hosting a landmark international meeting on Afghanistan aimed at kick-starting peace talks after decades of war. 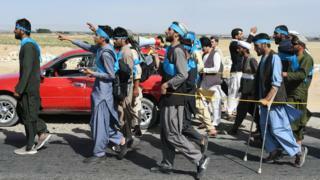 It is the first time representatives of the Taliban militant group have attended such an event. Russia’s foreign minister said their presence, along with members of Afghanistan’s High Peace Council, could help pave the way for direct talks. About a dozen other countries, including the US, are also attending. “We discussed the subject of direct talks with the Taliban and asked them to choose the place and the starting time,” said a High Peace Council spokesman, Russia’s RIA news agency reported. 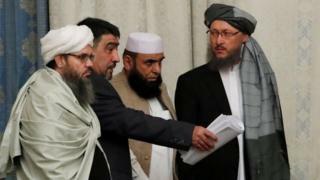 The Taliban have said the meeting is “not about negotiating with any side”. Western officials and the Afghan government view the Moscow talks with some suspicion – some fear it could derail other efforts at negotiations. Countries also present in Moscow include China, Pakistan, Iran, India and Central Asian states. Observers do not expect quick results from the Moscow talks – previous attempts at brokering a peace process have all failed. The Moscow meeting highlights Russia’s return to the diplomatic forefront in Afghan affairs. It’s the first time that Moscow has invited the Afghan Taliban, who sent a high-level delegation. Both the US and the Afghan government don’t want Russia to lead such an initiative, known as the “Moscow Format”. Although no significant breakthroughs are expected, bringing all the relevant players under one roof is a huge success for Russian diplomacy. Russia is in a unique position to host such a meeting as it is the only country on talking terms with all players. They say their international status will be further strengthened by going to Moscow. Research carried out by the BBC in January suggested that the Taliban were openly active in almost 70% of Afghanistan at the time, while being in control of 14 districts, or 4% of the country. It turned down an invitation to the first meeting Russia hosted last year. But this time the US said a representative from its embassy in Moscow would attend to “observe the discussions”. “He was released to provide impetus to the peace and reconciliation efforts in Afghanistan,” said a Pakistani foreign ministry spokesman. How costly has the war been? Given the high frequency and spread of Taliban violence, the Afghan security forces are overstretched and, in some cases, overwhelmed. 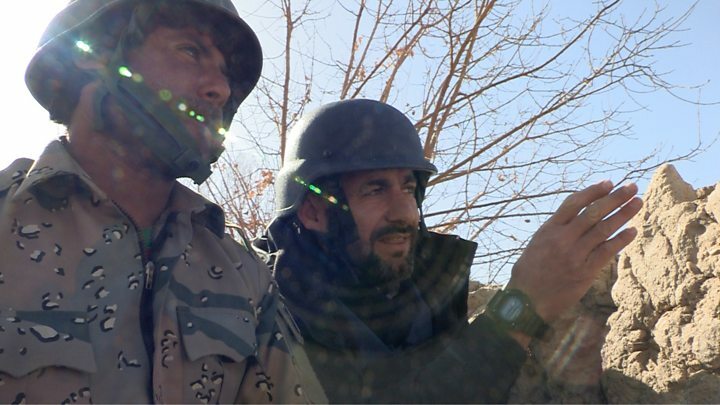 Afghan forces have been fighting hard to stop the Taliban’s expansion. But their casualty rate remains alarmingly high and appears to be increasing. 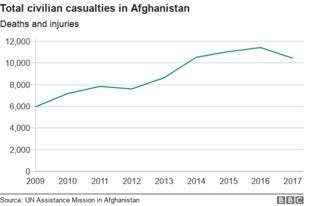 Civilian deaths and injuries have also hit record highs. Casualty figures for the conflict, which began in 2001, are the highest since the UN started keeping records in 2009.